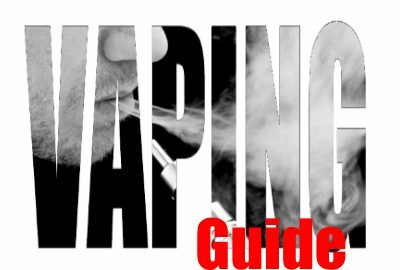 Beginners Guide To Vaping - East Coast Vape Co. The e-cigarette industry has grown at such an exponential rate in the last few years that it can be a truly daunting process to step into it. RDA’s, Mechanical Mods, Variable Voltage Mod, Temperature Control, Ohms, what are the words and what do they mean? 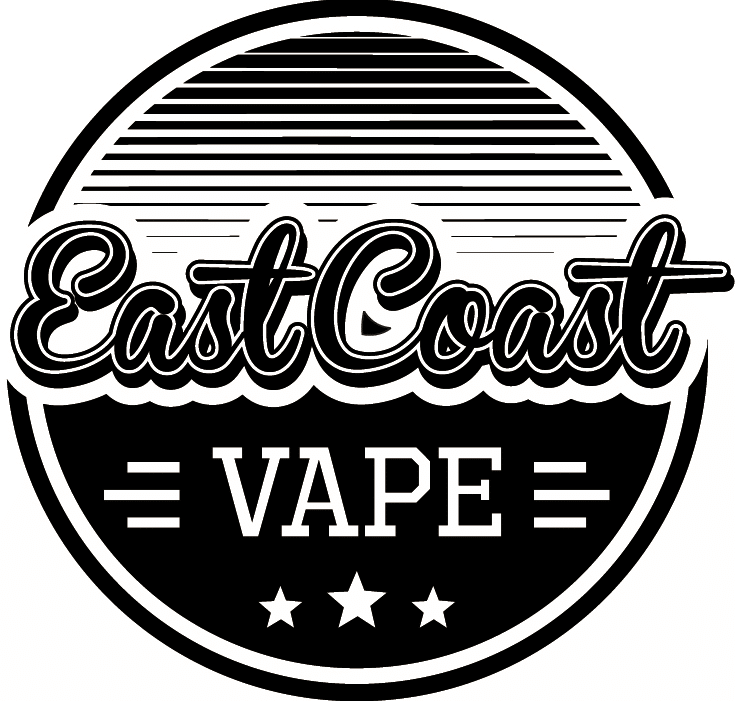 We here at East Coast Vape intend to break down all of the complexities of electronic cigarettes and leave you with information which you can easily understand. Firstly, ‘E-cig’ is a very broad term, and one that generates very different understandings depending on who you speak too. To the ‘average joe’, an e-cigarette is most likely a cig-a-like, to somebody who has just touched upon the vast vaping world, an e-cig is probably a pen, like the Joyetech eGo AIO, and then there are the Mods. Don’t fret, because at the very heart of it, all e-cigarettes serve the same ultimate goal, and whilst their inner mechanisms differ wildly in terms of sophistication at their core, they are mostly identical. What exactly is a clearomizer? What does a tank do? Well, let’s keep it nice and simple. Tanks, Clearomizers and Cartomizers are different names for types of devices which essentially serve the same purpose. To deliver you the E-Liquid in a vaporized form. The tank (or clearomizer) holds the e-liquid and within the tank is a special component called an atomizer head which helps to vaporize the liquid. The role of the tank in your e-cig is to simply connect to your battery, heat up your e-liquid and produce vapor for you to inhale. Your tank works in direct correlation with your battery, and your atomizer head (also known as a coil) in order to produce vapor. The vast majority of tanks require a coil in order to function, the coil is connected (through your tank) to your battery and this is the part of your device that heats up and vaporizes your e-liquid. Luckily, most batteries and tanks share a 510 connection thread, which means that they will screw right on to each other. Your tank houses a coil which heats up thanks to your battery, and once your tank is full with juice you must ensure that your coil is primed, to do this simply let your juice settle in your tank for a few minutes, and then it’s ready to be vaped. No matter what kind of vaper you are, or what level you are at, batteries must always be used properly, and with caution. Batteries come in all sorts of shapes and sizes but every battery has the same function, to provide the necessary power needed to heat up the coil inside your atomizer head and e-liquid. Most batteries that you will come across simply require you to press and hold the button as you inhale, that’s it.You will come across some terms that may need defining; as such, we’d recommend our A to Z Vaping Guide of terms for that. But we’ve added a few here. mAh – mAh stands for milliamp hours, which is basically the amount of time between recharges. The more mAh your battery is, the longer it takes before it dies. Voltage – Voltage is how much power is being used. Variable Voltage – Variable Voltage is when you can control the amount of power being driven to your atomizer. More voltage generally means thicker vapour is produced.As a beginner vaper, battery knowledge does not need to be as well honed as that of an advanced user, but it is always imperative that safety is placed above all else. Charging an e-cig battery is hugely important and steps must always be taken to ensure that safe and responsible battery charging is adhered to. Always remember as well, that your specific battery may require special charging. It is advised that if you are charging via a wall socket, always make sure that it regulates down to 1.0amp. As we touched on earlier in the Tanks section, coils have a fundamental role in the vaping process. The coil is what heats up and turns your e-liquid into those sweet smelling, beautiful clouds. Inside an atomizer head you will find some cotton as well as a coil which forms the heating element. The battery provides power to the metal heating element which then heats up the cotton (cotton that must always be soaked with e-liquid) and vapour is produced. Atomizer heads are replaceable and have a fairly short shelf-life of around two weeks.This timeframe is dependent on many things though. For example what wattage you are vaping at, how consistently you vape and even the viscosity of the juice you are vaping. How will you know when to change your coils? You will know when a new coil is needed because the flavour from your vape dissipates, or even begins to taste burnt, or the vapour being produced lessens. This is true of all coils, whether you are vaping on an advanced or standard tank. So remember to always be aware of your coils, vaping should taste good, not burnt!Please be advised that the level of nicotine you choose should vary depending on whether you are sub-ohming or vaping from the standard tank. Sub-Ohm tanks are more powerful and produce more vapour so it is advisable to lower the nicotine level you may typically use to remove some of the harshness. As the vape world grows, more and more e-liquid becomes readily available. Custard, fruits, cereal, milk as well as the traditional tobacco. There is now an endless catalogue of e-liquid flavours available to you, so no matter what flavour you think you will like, you can get your hands on it.For the majority of e-liquids currently on the market, the main ingredients are Propylene Glycol (PG), Vegetable Glycerin (VG), assorted flavourings, and nicotine. As a beginner, there is no right or wrong answer as to what juice you should be vaping on, but nicotine levels do matter. 0mg, 3mg, 6mg, 12mg are the most common nicotine strengths widely available in e-liquid from overseas (We are unable to provide eliquid with nicotine due to the current Australian Laws. However we do have a vast range of amazing 0mg ejuices available here. Typically, e-cig users wean themselves off of the higher nicotine levels until they level off at around 3mg. For beginners, we would recommend 8mg to 12mg from overseas vendors. Both provide enough nicotine and harshness to mimic that of a cigarette. This entry was posted in Uncategorized and tagged guide, vaping.